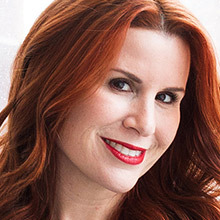 Aliza Licht is a marketing & communications executive in the fashion industry and a long-time strategic advisor to Awear Solutions, an innovative first-to-market BLE technology solution that solves the pain-point of smart loyalty for the fashion industry. She is also the author of the best-selling book, LEAVE YOUR MARK. Licht was formerly the long-time SVP of Global Communications for Donna Karan International and the creator and former voice behind the five-time, award-winning DKNY PR GIRL® social media personality. She is a TEDx speaker, was named one of Time’s “Six Women Who Rule the Fashion World,” and The New York Daily News listed Licht as #30 in the “Top 50 Most Powerful Women in New York.” Licht was named one of America’s Next Top Mentors by The New York Times and LEAVE YOUR MARK is #5 in Bookauthority.org’s, “The 38 Best Career Development Books of All Time.” LEAVE YOUR MARK is sold globally and translated into Spanish, Chinese, and Russian.